One of the healthy & delicious soup!!!! Add butter in a heavy bottom vessel. Add bay leaf & chopped onion in the butter. Add little sugar & salt. Saute till onion becomes soft. Add Broccoli & cook till it becomes soft. Do not over cook. Add chopped spinach & saute for some time. Turn off the gas stove. Let the mixture become cool. Remove bay leaf. Grind it along with a 1/2 cup of milk to very smooth paste. Again transfer this mixture in a vessel. Add remaining milk & cream into it. Boil for some time. Turn off the gas. Add salt to the taste. Garnish with fresh ground black paper. 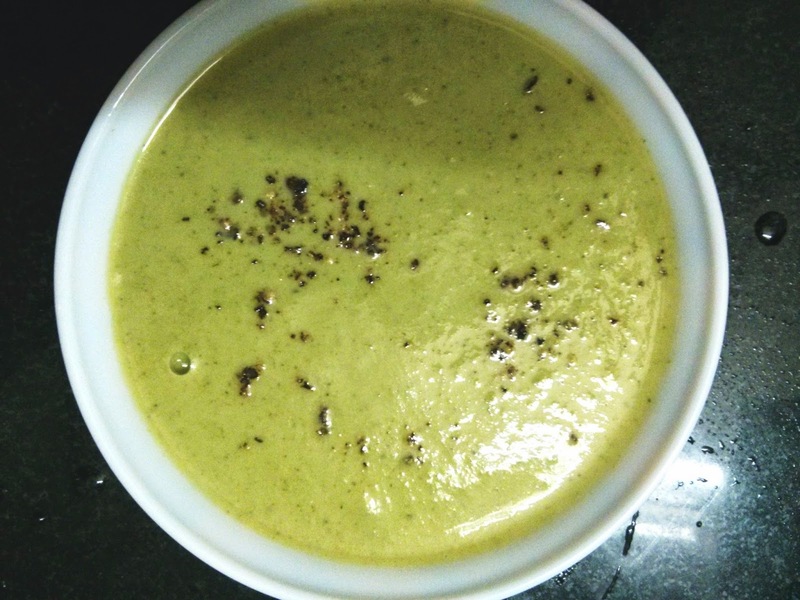 Enjoy this creamy & healthy soup!! !